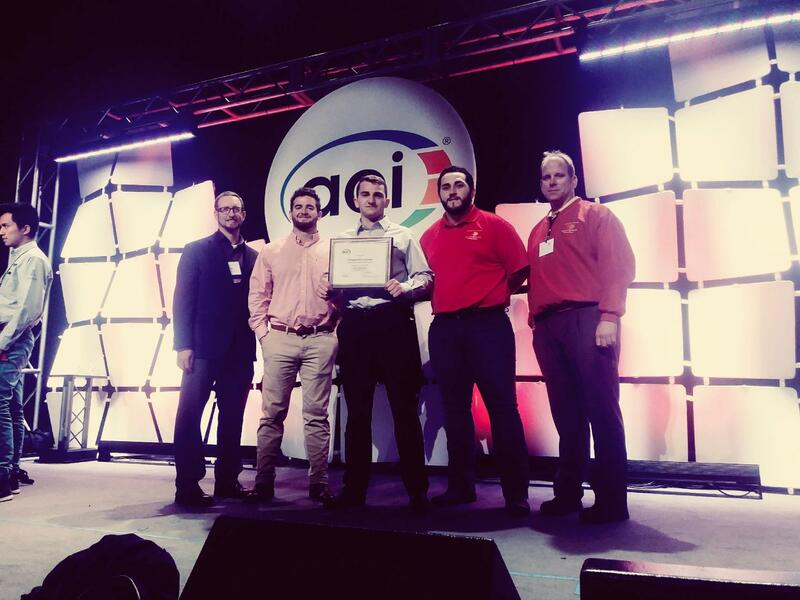 A team of students from Pittsburg State University’s School of Construction won second place in a competition that pitted them against 51 universities from the U.S. and abroad, most of which have Civil Engineering programs. The competition, put on by the American Concrete Institute, was part of the recent Concrete Convention and Exposition in Las Vegas, Nevada. Additionally, a high school team from St. Paul, Kansas, that was mentored by PSU students and accompanied them to the competition for the first time came away with a sixth-place finish. They also were the first high school to compete at an ACI event. Advisor Seth O’Brien, an assistant professor in the School of Construction, said that the competition challenged teams o apply sustainability concepts and to use their knowledge of concrete-mixture design by producing pervious concrete that balanced permeability and splitting tensile strength. PSU has done well in the competition in past years, O’Brien said, but this is the first year for a Top 3 finish. Learn more about PSU's School of Construction.